Today's Mom Saver isn't just about saving money. It's also about helping your family become more healthy! A LOT of people have the misconception that being healthy costs more. In some cases, that is true. In some cases, though, being healthy can actually save your family money! 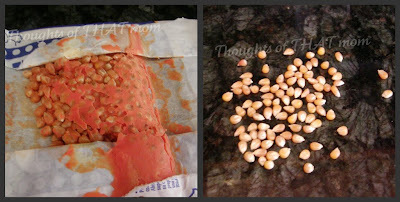 I think pretty much everyone has heard the dangers of microwave popcorn bags by now. There are concerns that the chemicals coating the inside of the bag can cause cancer. They also say that the chemical used to make the butter flavor can be problematic if inhaled. Besides, honestly, which would you rather feed your family? Which would you rather have your starting product be? 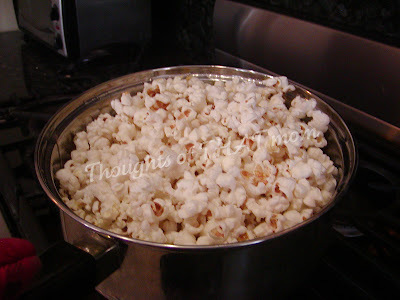 Like most people, I used to think that making my own popcorn would be some time-consuming task that I really didn't want to mess with. Either that, or I had to buy a special popcorn maker. And really? I don't need yet another gadget. I like to keep things simple. 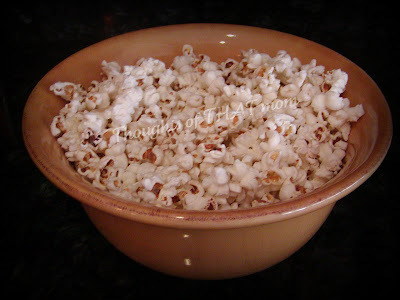 I had heard that you could put popcorn into a brown lunch bag, fold it & cook it in the microwave just as you would a store-bought bag of microwave popcorn. That's all well and good, but we didn't have a microwave at the time and had no intentions of buying one. I needed something else. 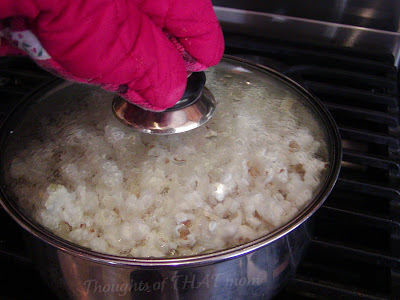 I learned that you could very easily make popcorn right on your stove-top! 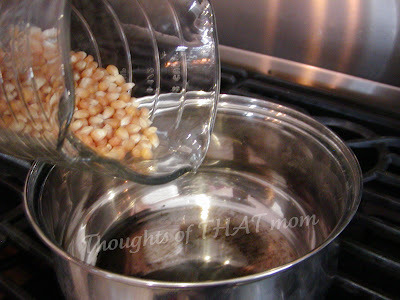 The only ingredients required are popcorn kernels and a high-heat oil. 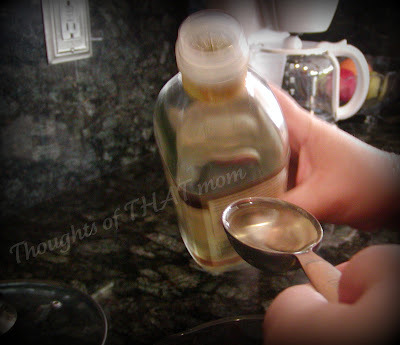 (I use Safflower oil.) 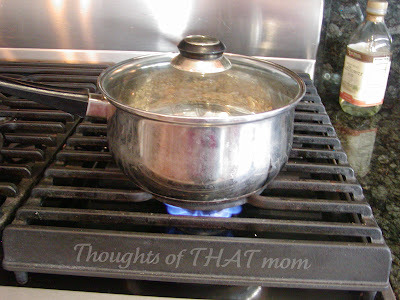 You'll also need a pan with a lid. 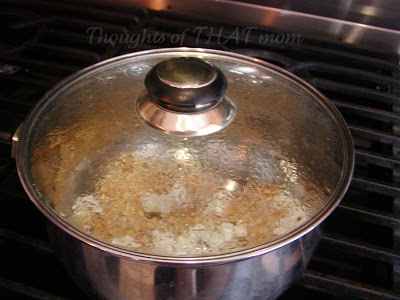 Add 3tbs of oil to your pan. 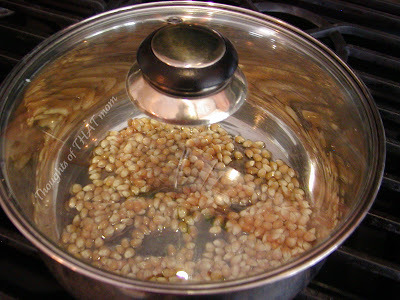 Drop 1 kernel of popcorn into the oil & turn it on to high heat. 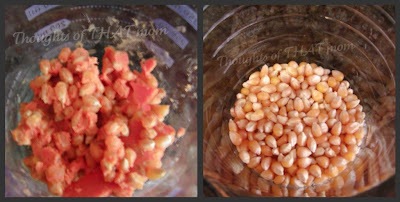 Once that kernel pops, then add the other kernels. They're all in the pan now! 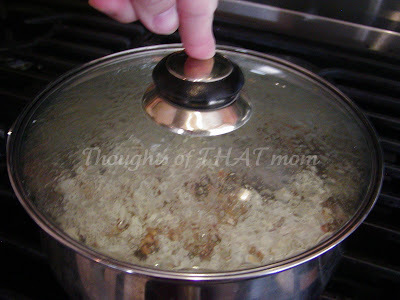 Put on the lid & get ready for it to pop! 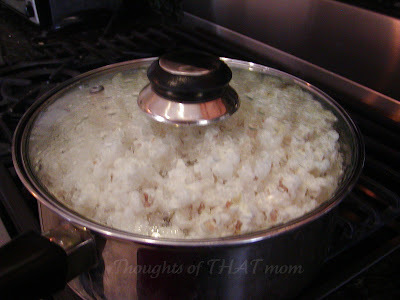 You'll be able to easily see when the popcorn is done popping. 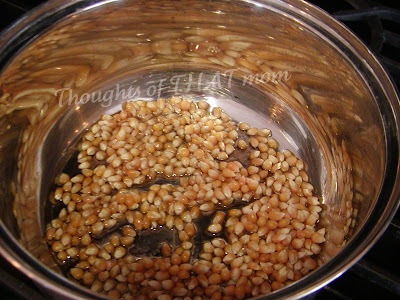 The popcorn will have a slight flavor from the oil so butter may not even be necessary. Dump it into the bowl & enjoy!